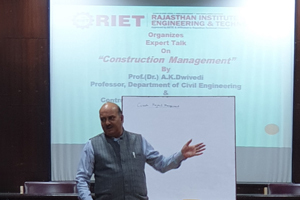 Department of Civil Engineering organized a special lecture on “CONSTRUCTION MANAGEMENT” by Dr. A K Dwivedi on Friday, Feb. 22, 2019 at Seminar Hall, RIET Jaipur. 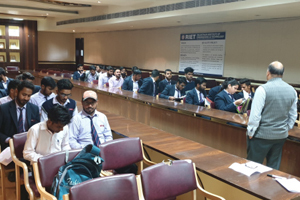 About 50 Students of Civil Engineering Branch, RIET Jaipur attended this session. 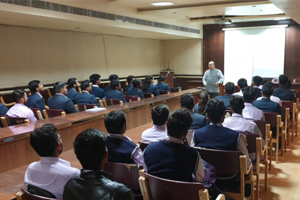 Dr.A.K Dwivedi started this session with the introduction of Construction Management. 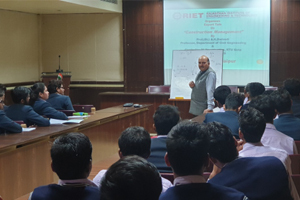 He shared his views on Project Planning and effective ways to execute a project. 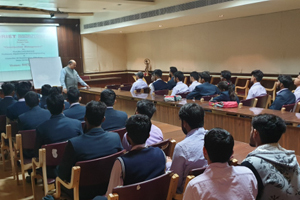 He also enlightened the students about the administrative and technical glitches faced during planning and execution stage of the project. The CPM and PERT techniques were also taught to students. The optimistic time(to), most likely time(tL) and pessimistic time(tp) were also explained to students in detail. The students learned about planning, scheduling, organizing and different other stages of the project. He also emphasized on the importance of PPP model for successful completion of the project. The different types of projects like BOT, EPC etc. were also taught to the students. The Special Lecture organized very successfully.